550 hp in the Boost Brigade GTI: the GReddy JDM VW! Do you remember the outcry on Facebook and Co. when we posted the first pictures of Sidney Hoffmann’s “Rocket Bunny” wide body GTI? That was at the Essen Motor Show in 2015. Two years later, the assembly kit is still polarizing in the German-speaking scene. Quite different at the SEMA 2017. Vehicles from Germany and Europe are the minority at the biggest trade fair for automotive accessories. Also, Tuning in Europe seems to be less interesting for the Americans. 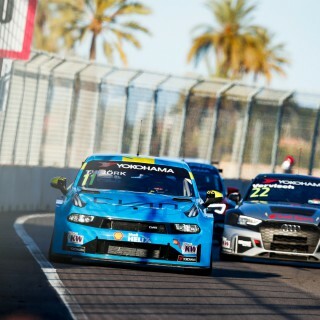 But there are some highlights from “Good old Germany” and the few Audi, BMW, Mercedes and VW, who made their way to Las Vegas, are real eye-catcher. 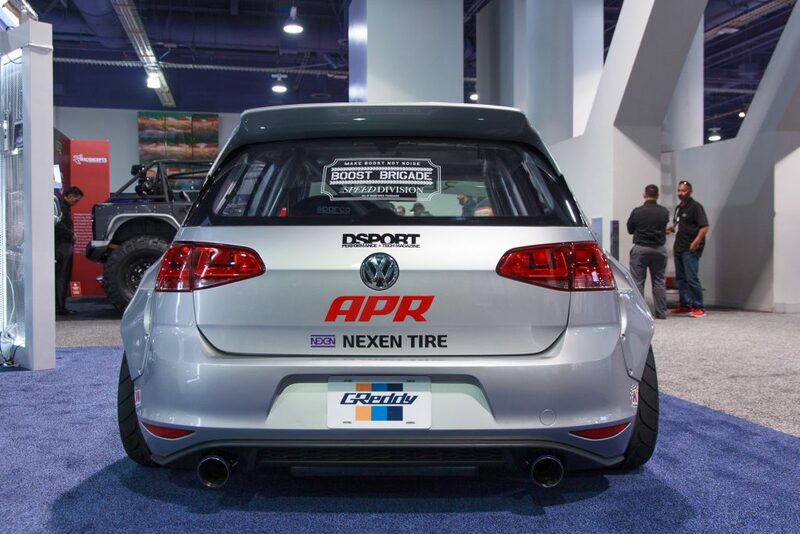 GReddy Racing is a great example when it comes to modifying an VW Golf. 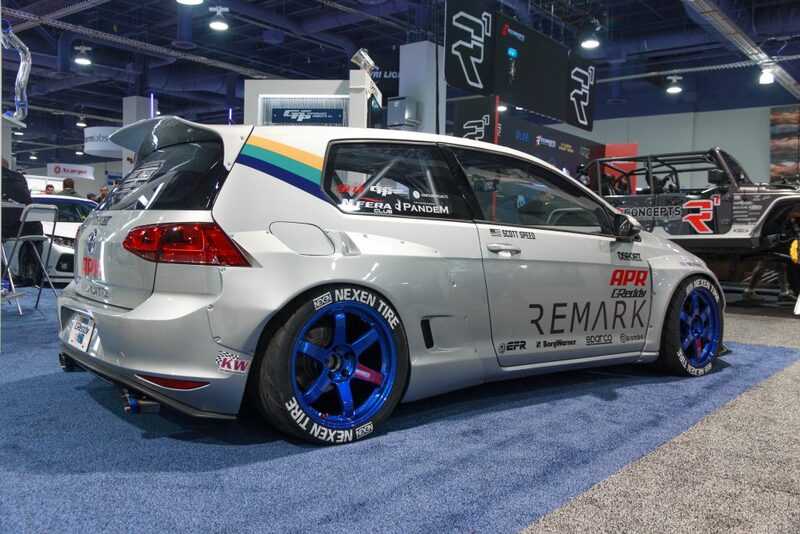 The car belongs to the “Boost-Brigade” member Scott Speed and it is actually quite amazing that a tuner and accessories dealer with Japanese roots presents a tuned Golf at the SEMA Show. GReddy boss Kenji Sumino distributes the entire Pandem Rocket Bunny widebody kits from TRA Kyoto in North America. And so it was simply a must for GReddy to exhibit an “Euro-Import” in the form of a facelift GTI with the wide body kit. The VW was converted much more radically than Sidney´s Golf back then. More radically than the GTI from Sidney? Yes, much more radical. While Sidney with his conversion tried everything to bring his Golf officially on the road with approval, the Americans went much further. True to the motto, what works for pure JDM conversions, will fit the GTI even better! Together with Mike Kojima and his troupe “Motorsport- und Tech Blog” MotoIQ.com, the VW was built up to participate at the Super Lap Battle. The Golf was cleared and a roll cage with flank protection welded. 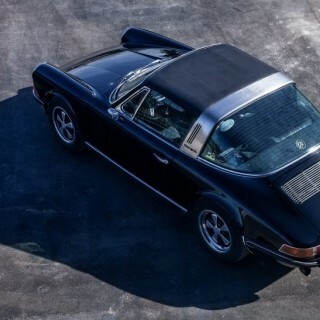 The only seat on board is a Sparco full bucket seat. Doors, hood and tailgate are made of lightweight carbon fiber. The side windows, windows and rear window are made of lightweight Makrolon. The dashboard remained almost completely intact, the most important data from the onboard network are displayed via a digital speedometer from AiM. 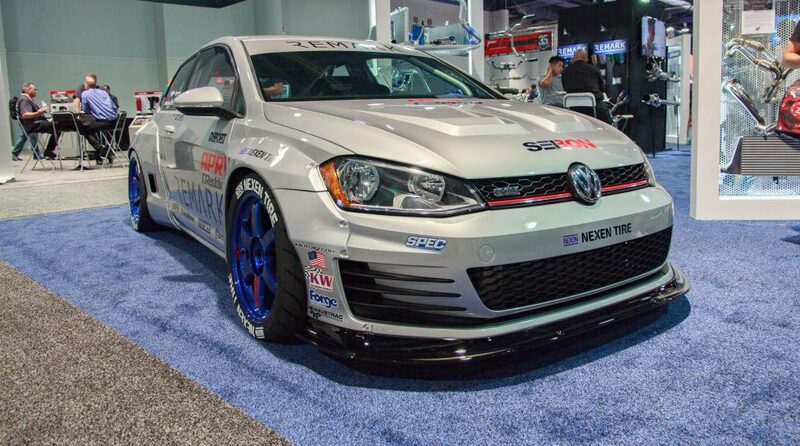 The two-liter TSI was still in the first stage of development before the SEMA. 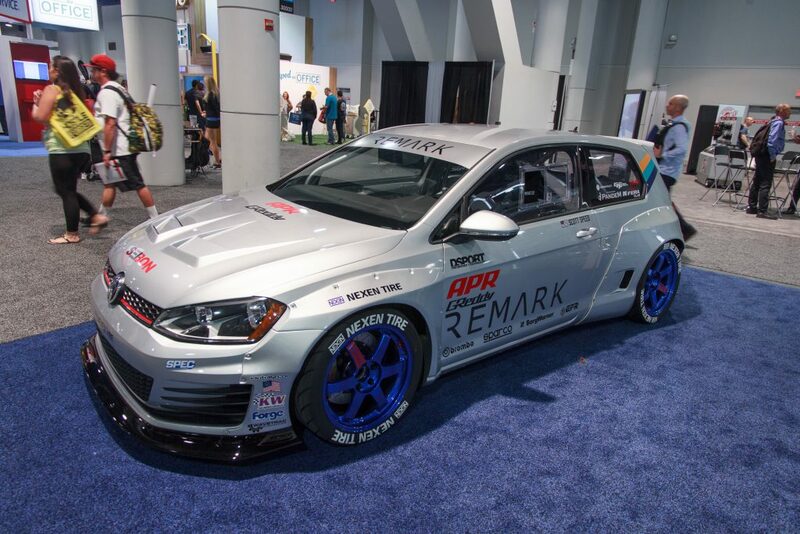 APR Racing completely reworked the four-cylinder engine and besides the already installed BorgWarner EFR 7163 turbocharger with external wastegate, soon also the cooling circuit with Forge Motorsport intercooler will be installed. The already installed carbon intake comes from APR and for the Super Lap Battle, a performance of stable 550 hp is envisaged. The manual six-speed gearbox of the front-wheel drive has been expanded with a stronger clutch and a limited slip differential from Wavetrac. 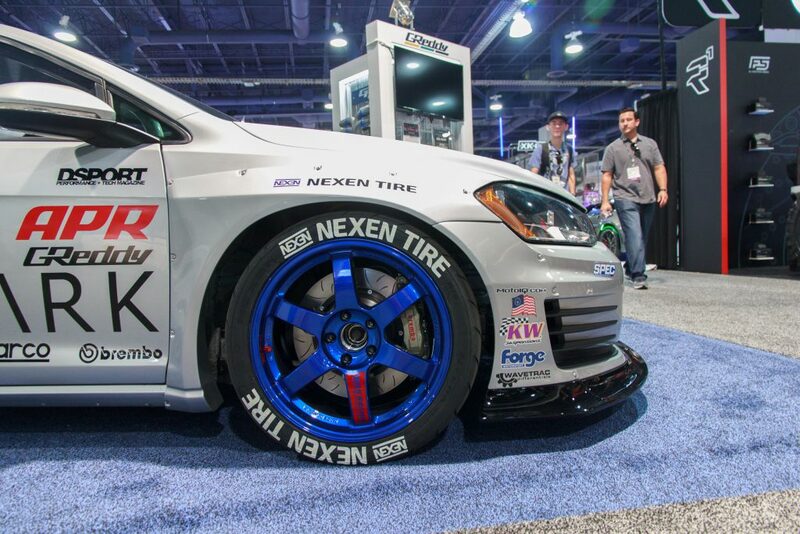 Underneath the wide bolt-on fender flares, which the series fenders had to be cut out for, Rays Volk Racing TE37 in 18-inch with Nexen N’FERA SUR4G Performance tires are installed. The brake system comes from Brembo. 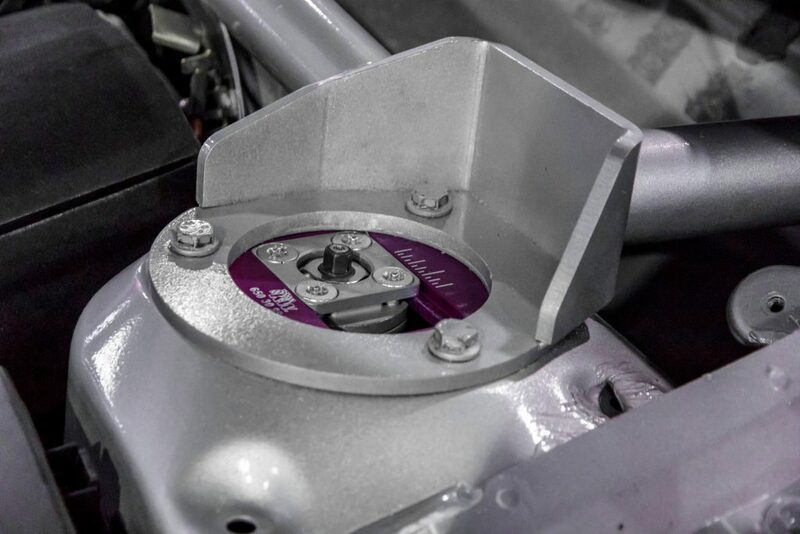 In regards of suspensions, Scott Speed relies on a KW Clubsport coilover kit with 3-way damper adjustment (separate low speed and high speed compression as well as rebound damping) with aluminum Unibal top mounts. So the front-wheel drive not only has a nice-looking stance, but also serious grip. In conjunction with the wide body kit and the Rays, the GReddy GTI looks really fast, but for the upcoming test drives and the Super Lap Battle, the setup of the suspension will be further adjusted. The VW needs a little more spring travel and therefore the lowering will be reduced via the trapezoidal thread of the suspension. Already today we are excited about the lap times, because the GReddy Racing GTI with its Pandem Rocket Bunny wide body is the first VW we know that actually meets the expectations for the sporty roots of a TRA Kyoto kit. 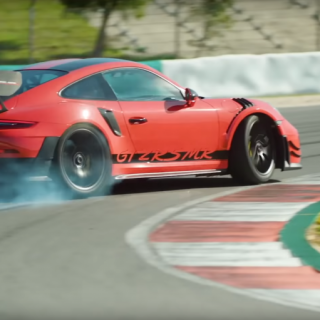 Chris Harris sets a personal lap record with the Porsche 911 GT2 RS MR!